For a long period, environmental issues were considered a problem to be addresses by the country’s government. Most companies not even considered the matter or just ignored the impact of their processes and habits on the ecosystem. At Armco, that environmental concern started some years ago, through the acquisition of a state-of-the-art effluent treatment system with capacity to eliminate from water all polluting agents derived from the productive process, and make 100% water safe for reuse. For us, a leading company is not created only through direct investments, but also with the dissemination of environmental and social awareness and responsibility. 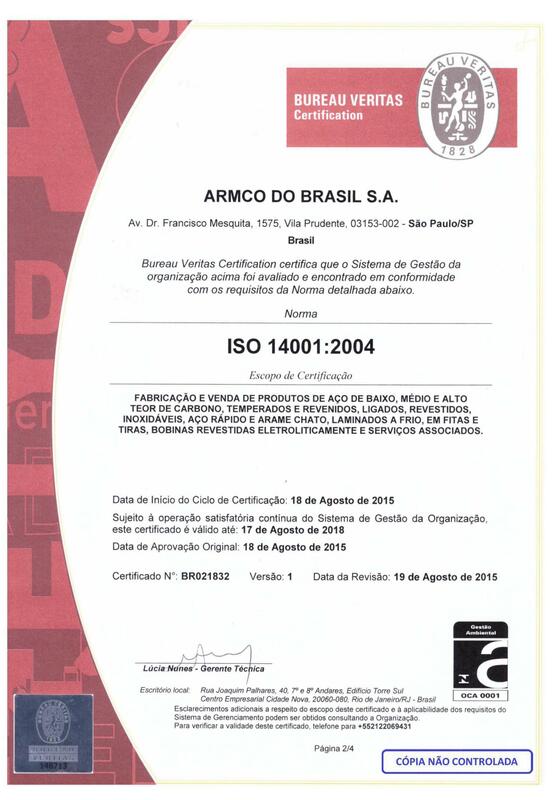 Our Environmental Policy meets the requirements of ISO 14001 standard. •	Encouraging the involvement and commitment of employees, contributors, suppliers, customers and community to preserve the environment.